We do our best that you get the most out of every moment of your vacation. Welcome to Golden Beach & Happy Sun! Hotel Fatih offers you all iclusive by kleopatra beach. Enjoy the Fatih Hotel experience surrounded by the beauty of nature, history and sea. 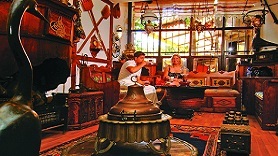 Hotel Fatih Kleopatra will help you create your holidays as you wish it to be.